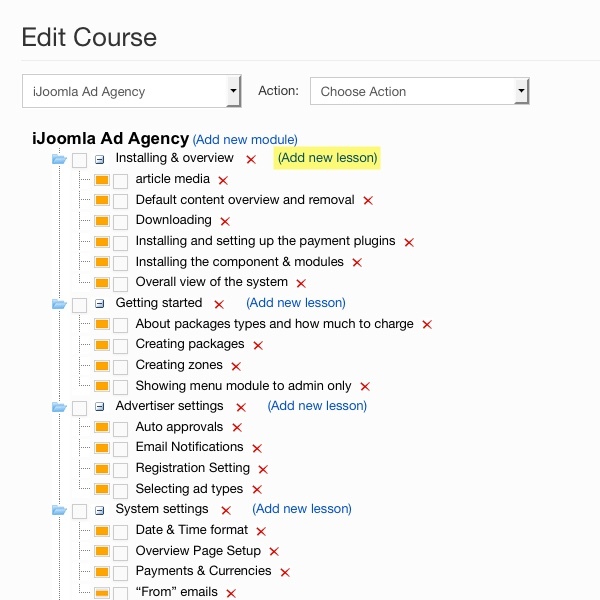 Our LMS for Joomla component allows you to add lessons to your learning modules. 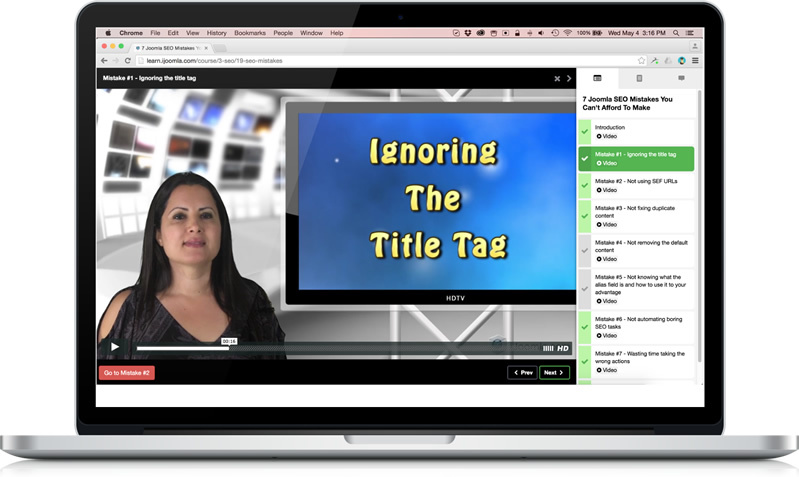 Lessons contain the actual learning material, whether it's a video, text, document, quiz, URL, file or other type of media. To add a lesson, click on "Add Lesson" on the course tree. Choose a lesson name and alias. Choose who can access this lesson (visitors, registered users, students). Choose one of 12 available layouts. Select a narration or sound that will play automatically when the lesson is loaded. This is very useful if you want your student to hear you giving them instructions such as "Click on the document below, fill it out and send it to me" or "Read this article and then move to the next step." Published – yes or no.